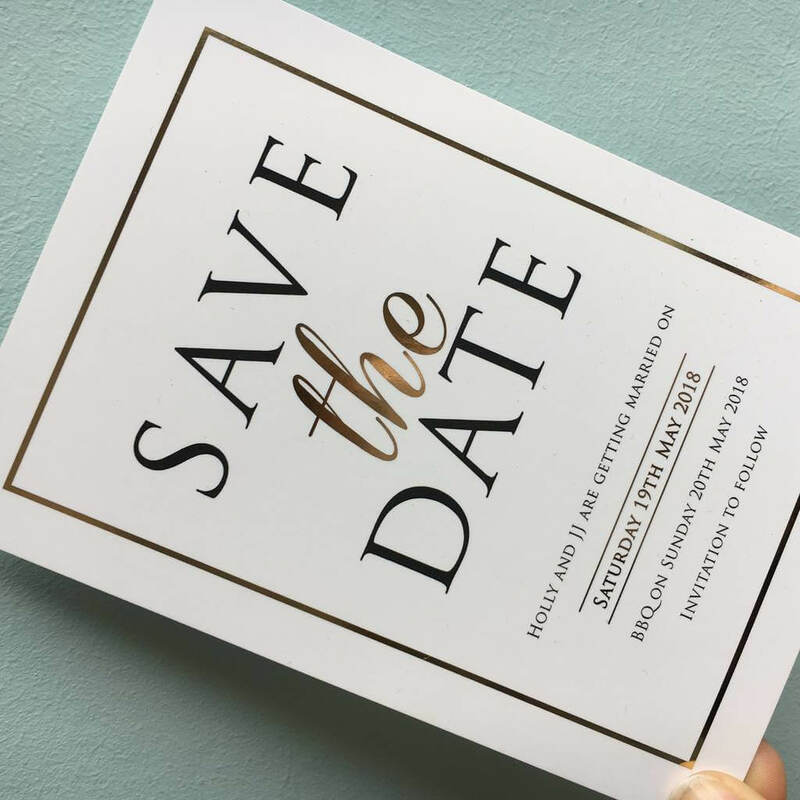 Modern Gold Save the Dates with added foil, perfect for anyone who has an elegant wedding theme. Featuring metallic details for the extra luxurious feel. Our Gold Save the Date is perfect for a couple who are looking for modern save the dates which are simple with a touch of luxury. 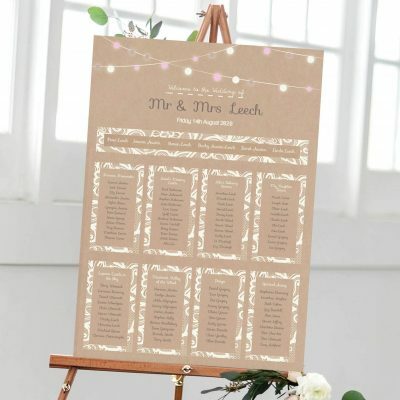 Gold foil comes as extra and adds an element of luxury to these wedding invitations. 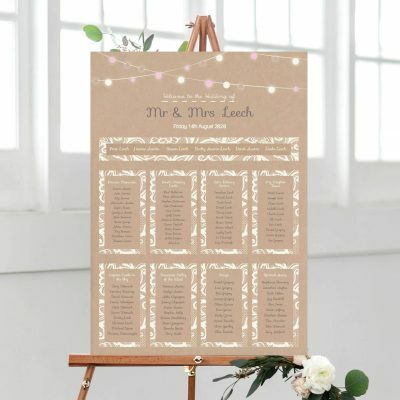 These are perfect for anybody looking for save the dates for their wedding. 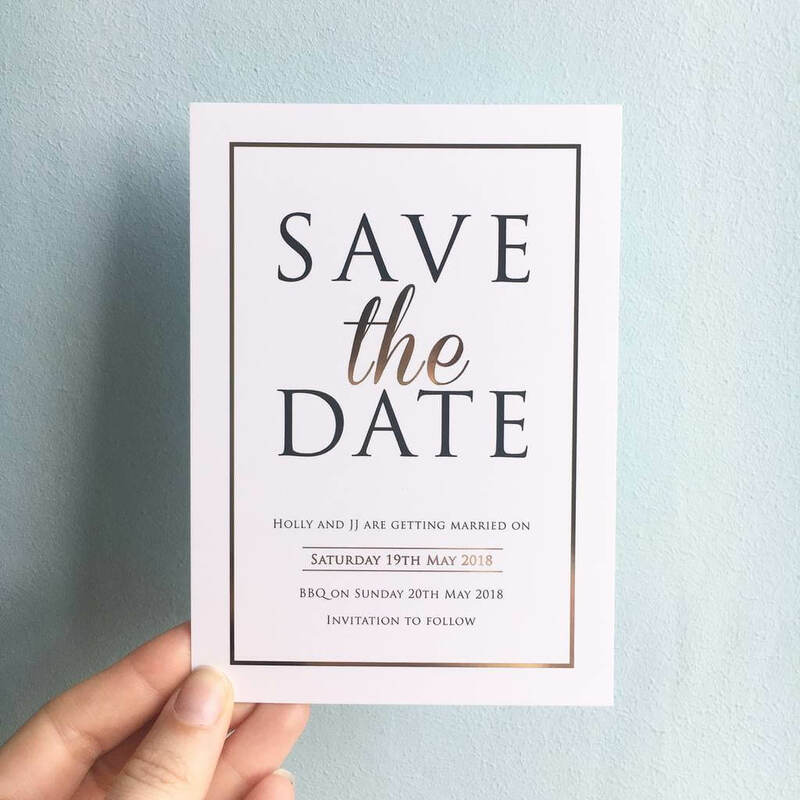 Especially those who are after a modern themed Save the Date with simple fonts and an added sparkle. 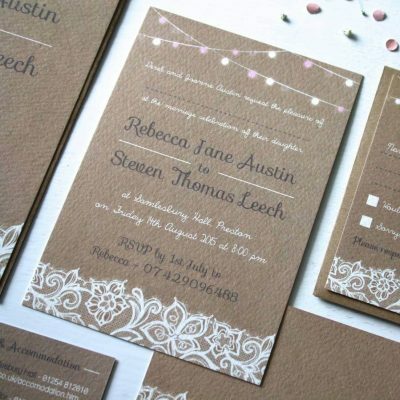 You will give your guests an insight in to your day and give them something different to the traditional wedding invitation they would usually receive. 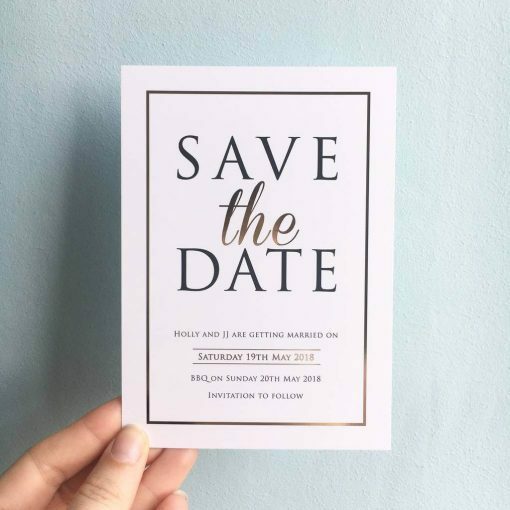 Because these invites are neutral colours – black and white with a hint of metallic, they work perfectly for a wedding with minimal colours. 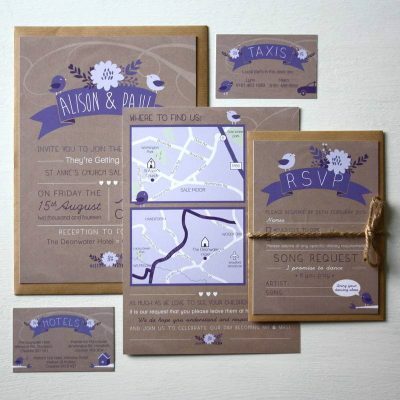 Moreover, a bride and groom who are yet to choose their colours which will feature at their day. Crisp Whites, clean blacks and metallic colours are proving very popular at the moment, they create a luxurious feel as well as being understated and classy. 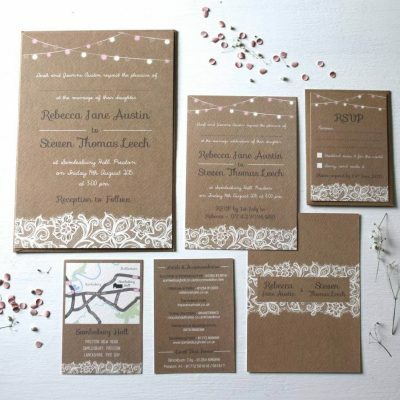 We also have invitation options and day stationery ensuring that your style will follow through to your day. Therefore keeping your style consistent. 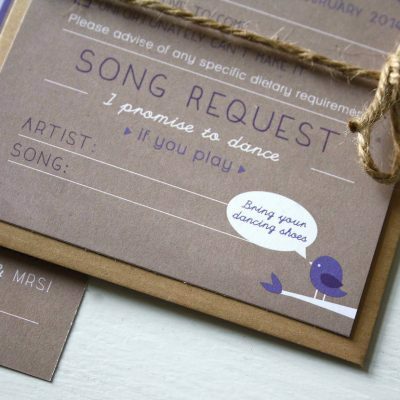 Once your order is placed please send through your personalised details and wedding information via email. 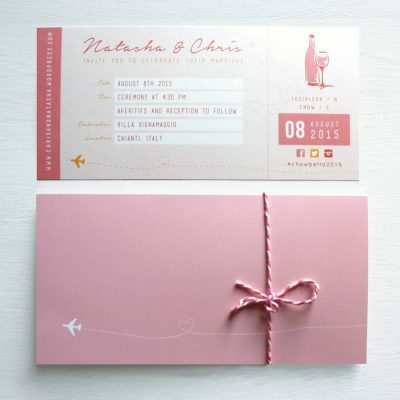 You are able to customise the text on this invitation, your names, places and dates etc can all be included. Colours can be changed to match your wedding day. 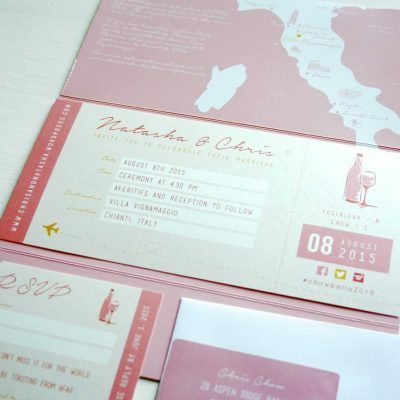 Gold foil detail can be introduced to your design as an extra. You have a choice between brown or white envelopes. Contact us if you would like something a little different as we can also design bespoke stationery and would love to hear your ideas!